Kalimpong, Dec. 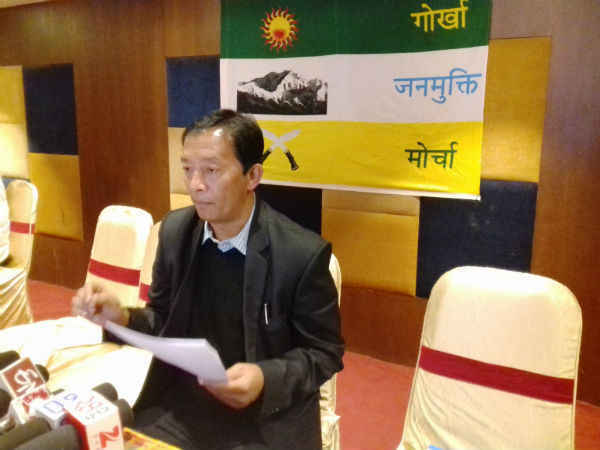 The Binay Tamng faction of the Gorkha Janmukti Morcha today decided to hold its first public meeting in the foothills on January 21 where it is yet to taste the waters even though a few known faces like Tshering Dahal are in its group. In a release issued here, Jyoti Kumar Rai, the assistant secretary of the party, said a meeting of the party's central committee at Deolo, about five kilometers from here, decided to hold the meeting at Sukna, which is on the fringes of Siliguri. The meeting also appointed Dahal, who hails from Sukna, as the coordinator of Nari Morcha, the women's wing of the party. This will be the first public meeting of the Morcha rebels in the Dooars and Terai. The faction has already held meetings in various places in the hills to mixed public responses. "Most leaders in the plains hardly have any support base of their own. The meeting essentially will be a test of Binay and Anit Thapa's popularity in the plains," said a political analyst. A host of other decisions were also taken at the meeting aimed primarily at strengthening the organisational network of the party in the hills. The meeting decided to form the Darjeeling municipality board on January 3. "Anit Thapa has been entrusted the responsibility of forming the board," said Rai. The undivided Morcha had won all but one seat in the election for the 32-member municipality that was held in May. Trinamul had bagged the other seat. While one Morcha councillor has resigned, remaining all, including the chairman, have shifted to the rebel group. The Binay Tamng faction of the Gorkha Janmukti Morcha today decided to hold its first public meeting in the foothills on January 21 where it is yet to taste the waters even though a few known faces like Tshering Dahal are in its group.